Plumbing - RJ Kuhn, Inc.
One of the last things you want to worry about at your home or business is faulty or problematic plumbing. 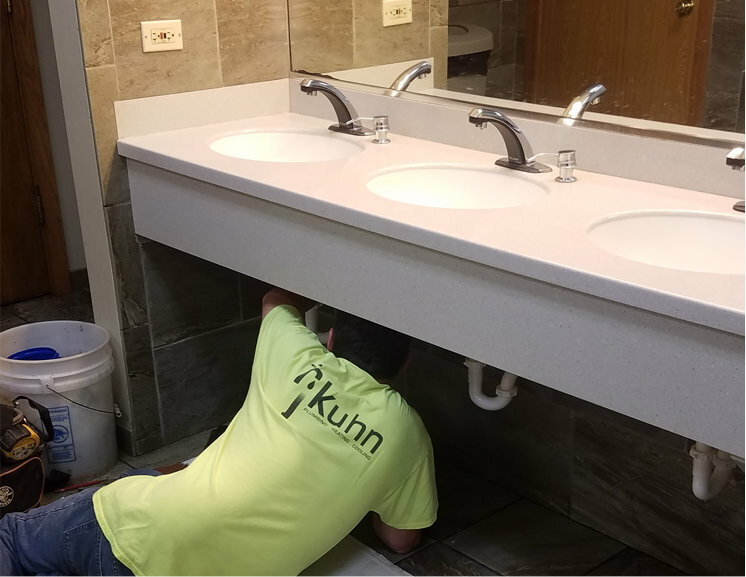 RJ Kuhn provides the specialized plumbing that helps keep your home or business operative. all types of sewer rodding, jet rodding and TV camera sewer-line inspection. Please contact us at 1-800-FIX-DRIP or (630) 554-3336 to discuss the plumbing service you need for your home or office. Sewers and drain pipes aren’t what you want to have to worry or even think about. But when stoppage or restrictions occur in your home or business, everything comes to a halt. Our experience in handling these problems thoroughly and effectively can help those issues go away. The accumulation of tree roots is typically what slow or stop your sewer. Grease and organic matter can also lead to major obstructions and drainage problems such as unexpected discharge and flooding. Sewer rodding or drain cleaning ensures that sewer mains are clear and that drain pipes run smoothly. In cases of extreme clogging such as sludge, mud, rocks and grease, jet rodding shoots highly pressurized water through the line to blast through the blockage. Our tools can clear almost anything out of any pipe. We also offer specialized grease-dispersing agents that are both effective and environmentally safe in removing the grease that has built up in the line. 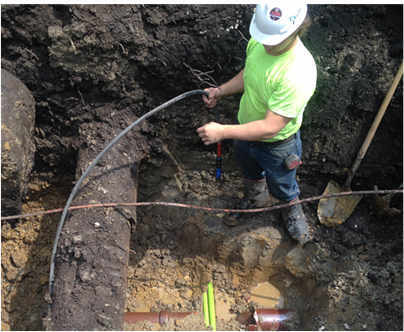 RJ Kuhn performs all types of sewer rodding, jet rodding and TV camera sewer-line inspection. Our sewer and jet rodding can also be used for field tile and culverts, waterways for ponds, and areas beneath driveways and roadways. If you need sewer rodding or jet rodding, please contact us at 1-800-FIX-DRIP or (630) 554-3336 to inquire further.